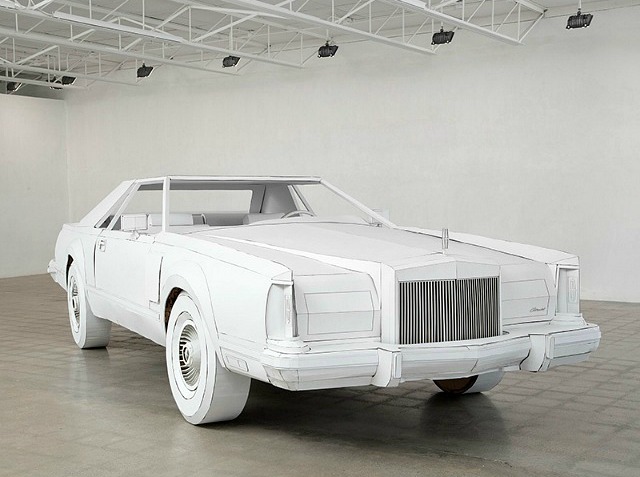 For her installation titled "Miles to Empty", on view at Susanne Hilberry Gallery until November 14th, artist Shannon Goff used the simplest material, cardboard, to create a full-scale replica of her grandfather’s 1979 Lincoln Continental. As a native of Detroit, Goff has been witness to the ups and downs of industrial prosperity and the more recent economic free fall of the city. Via the press release, "Dauntingly laborious, challenging in concept and ambitious in scope, this monumental sculpture embodies Goff’s immense energy and her love of making. Goff demonstrates a high level of skill and ingenuity, which used to be present in all manufacturing before the production line eradicated first the hand, then the whole individual. " Fascinated with the concept of money and how it touches almost every aspect of our lives. 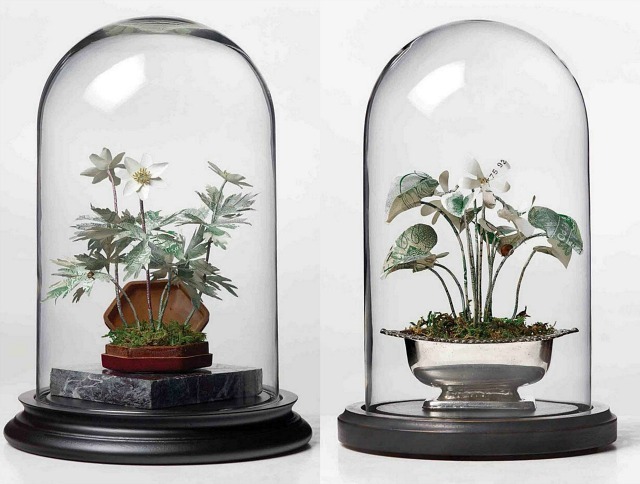 London-based artist Justine Smith creates delicate plant sculptures made of international bank notes and encased in glass domes. Inspired by specimens found near her studio, Smith recreates Victorian museum displays often incorporating real plants and insects. 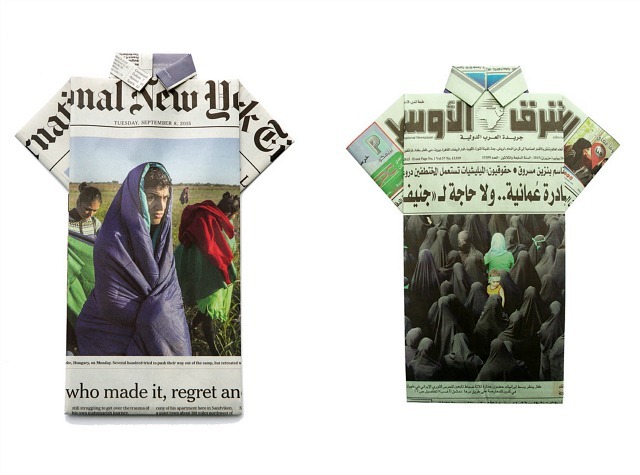 Via her website, "through her collages, prints and sculptures she examines our relationship with money in a political, moral and social sense, whilst also exploiting the physical beauty of the notes." 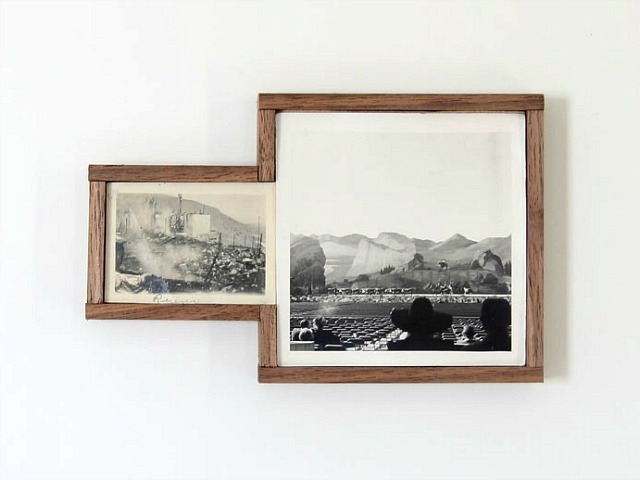 New York based artist Alison Moritsugu uses art and art history to explore the past and present of America's landscapes. 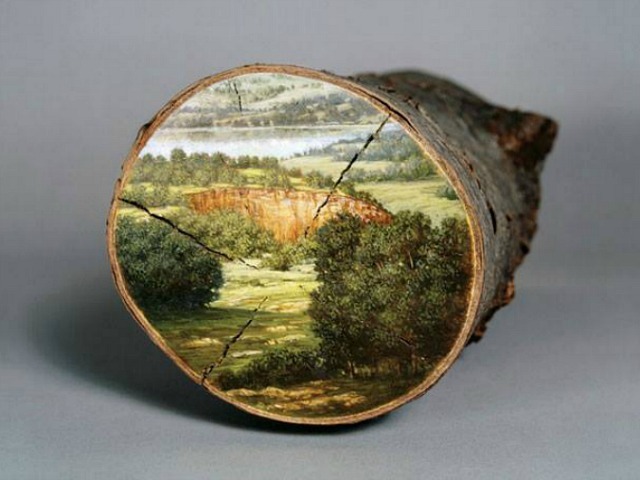 For her upcoming exhibition, "inconsequence / in consequence" at Littlejohn Contemporary in New York, Moritsugu presents a series of landscapes painted on cut wood that otherwise would be turned to mulch, depicting idyllic visions of America during the settlement period the destructive effects of industrialization. Moritsugu explains, "I like the juxtaposition and tension created by having an image of nature on a section or sample of real nature." 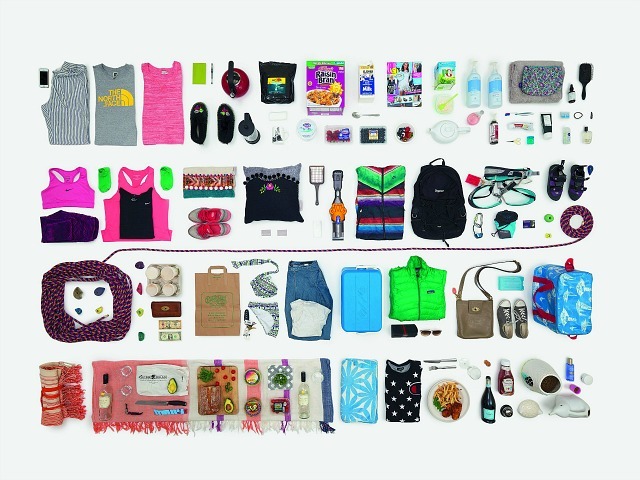 Mexican-American artist Ana Teresa Fernandez has long been fascinated by the U.S.-Mexico border as well as identity and gender. For her performance art project titled "Erasing the Border", Fernandez used a fifteen foot ladder and a spray paint gun to paint a portion of the metal wall that separates Playas de Tijuana and San Diego’s Border Field State Park in a light blue hue to camouflage it against the sky. 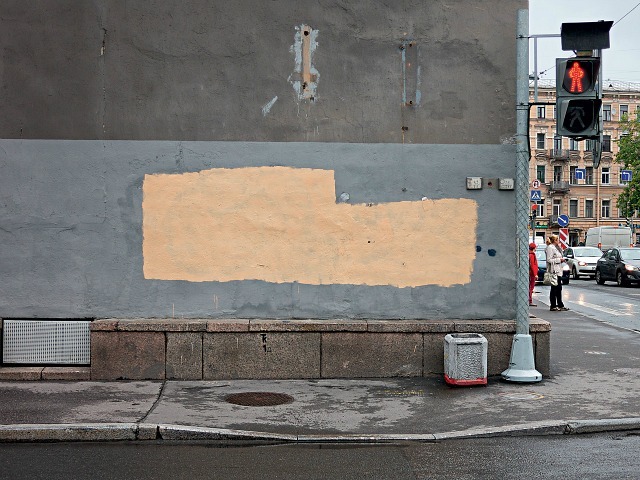 "The idea behind the project is to blur the border fence into the landscape giving the impression that a portion of it is missing," she explains, "an illusion of a hole in the wall, where your imagination is able to cross between these two countries freely." 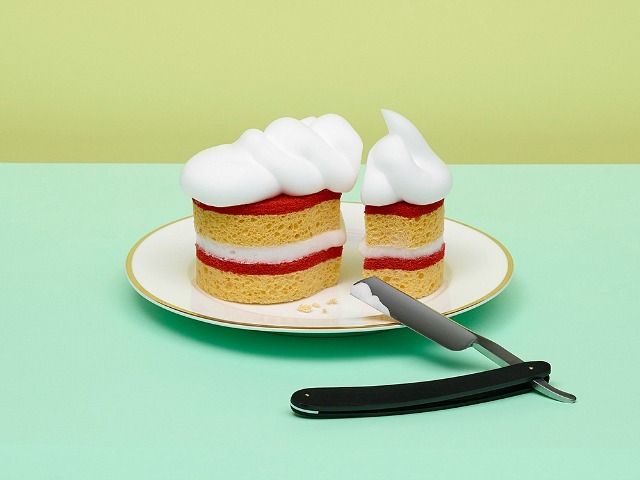 Photographer Benjamin Henon and stylist Valentine Mazel have combined their skills and artistic vision to create a playful series of images featuring everyday objects made into food. Hernon and Mazel used sponges, sand, soap and shoe laces to reimagine food in colourful compositions—sponges double up as layered patisserie or slices of toast and shoe laces are transformed into tagliatelle giving the illusion of delicious dishes. 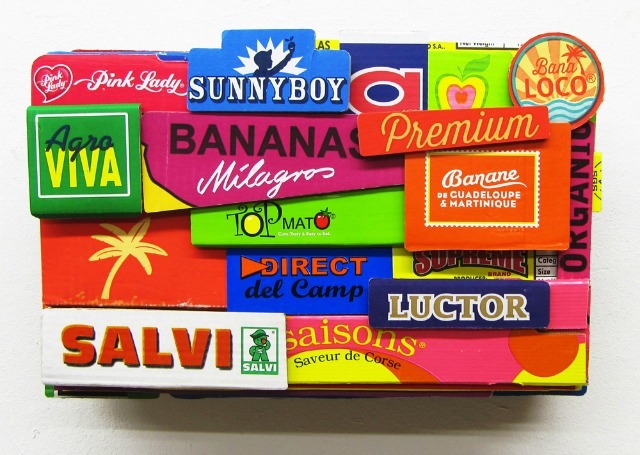 Inspired by garish colors, large text, quickly recognizable brand logos, artist Jens-Ole Remmers creates stunning three-dimensional collages by carefully cutting and layering discarded food and snack packaging found at local supermarkets. Remmers plays with the bright logos mixing the cut-up cardboard boxes the same way an artist would use a palette to mix paints. 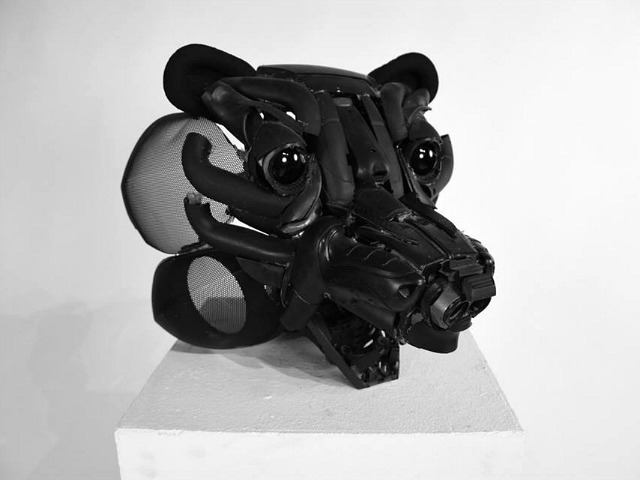 His works celebrates imagination and prove that discarded materials are often the best medium for artists who are looking to push their creative boundaries. 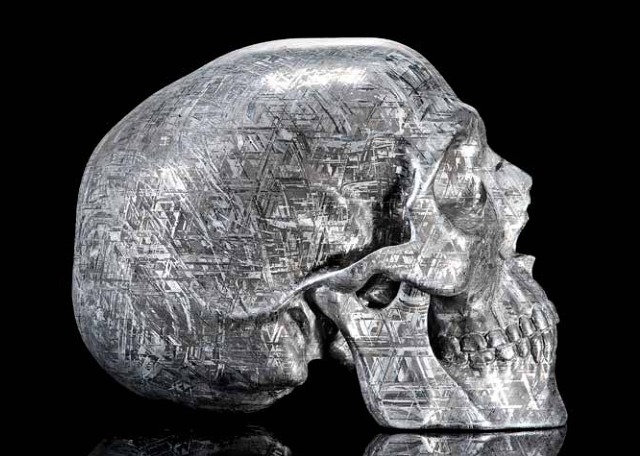 African artist Moffat Takadiwa is known for his simple but intricate assemblages made from found materials. Tackling issues such as material culture, identity and the environment, Takadiwa takes computer keys, strings, discarded electrical goods, spray and beverage plastic bottle tops and transforms them into wall-hung sculptural forms that transport the viewers into the realm of imagination, meditation and wonder. 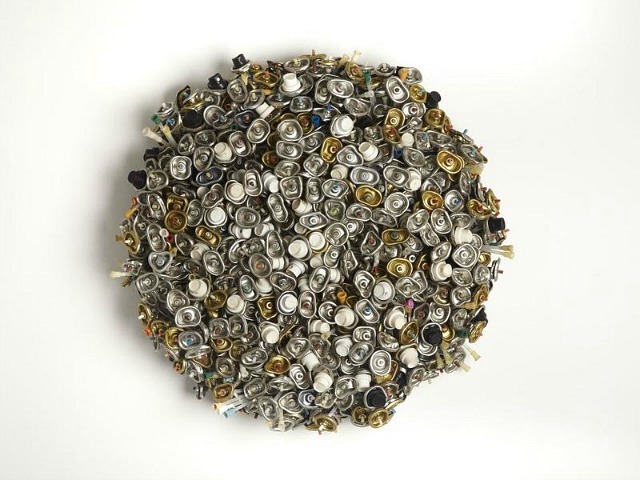 "Takadiwa tackles issues such as material culture, identity and the environment, but, through his collages and assemblages of beehive-looking metal spray and bottle tops, he also reminds us of the cultural dominance exercised by the consumption of foreign products in Zimbabwe and Africa." 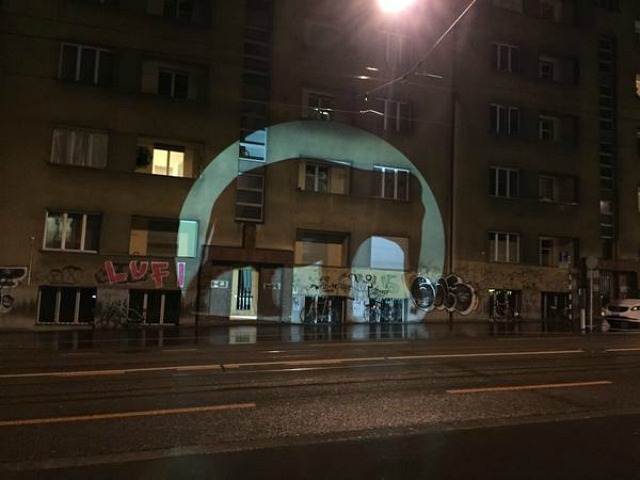 For his latest project titled "Elephant Walk", Swiss coder and graphic designer Michael Flückiger mounted a projector on his bicycle and created the illusion of an elephant walking through the city by projecting a large shadow onto the buildings parallel to him. Flückiger connected the projector to a speedometer making the walking elephant shadow react to the driving speed. At one point the elephant appears to be running. The shadow modification project was created using a car battery, an iPad mini and Openframeworks. 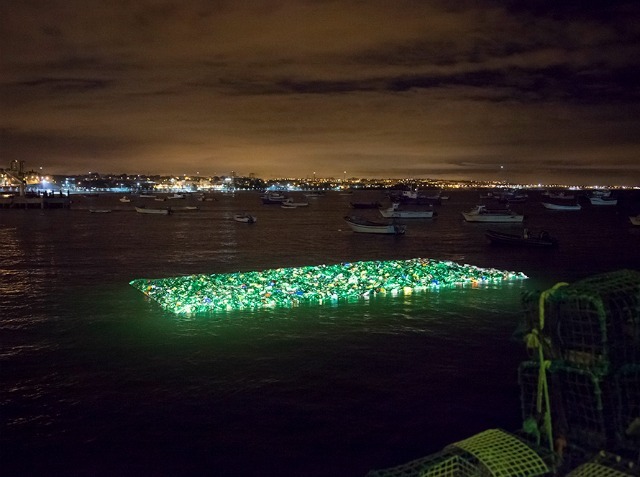 Madrid-based guerilla art group Luzinteruptus went to Portugal last September to release a floating installation into the Cascais Bay made from 5,000 illuminated plastic bottles sourced from a local recycling plant, called La Isla Plastica, (The Plastic Island). 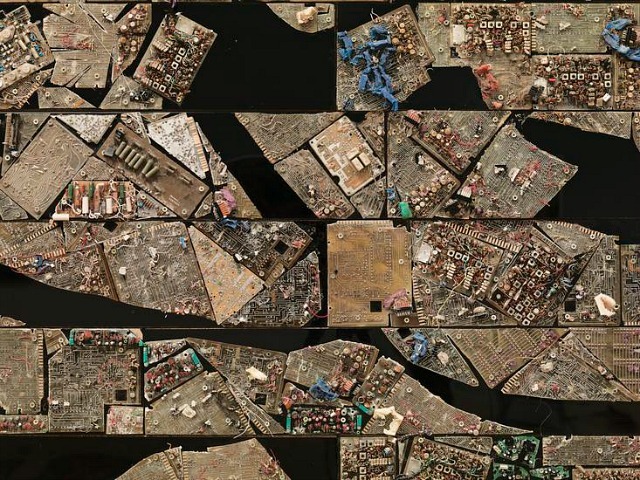 Speaking about the project they said, "Our intention was to replicate, at a smaller scale, the so-called “eighth continent” made of plastic and garbage which is alarmingly taking over great areas of the Pacific. Governments remain passive before this situation allowing this huge to destroy most of the marine wildlife in the area and transforming the ecosystem." 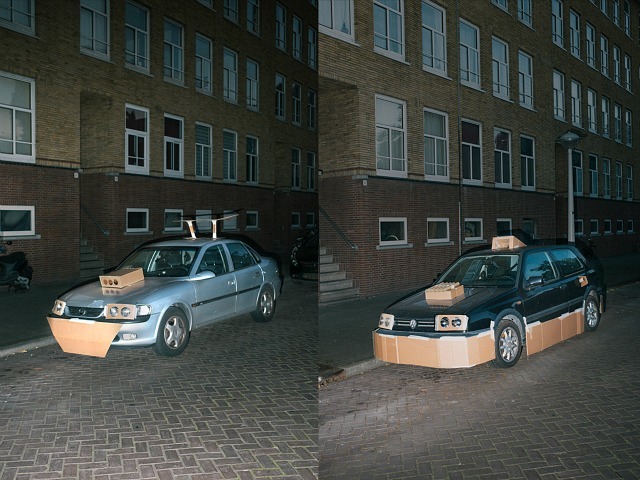 Walking through the streets at night armed with a few pieces of cardboard and masking tape, Amsterdam-based creative Max Siedentopf creates dramatic makeovers transforming strangers cars into pimped out rides. Siedentopf usually works quickly sticking on his custom-made fenders and wings when everyone is asleep, leaving the pimped ride for the owners to find the next morning. Talking to Vice UK the 24-year-old creative explained: "Individuality, self-expression and status are more important than ever these days. But for some reason you see that things as ordinary as cars are getting personalised less and less, while it could be a strange but great form of self-expression. I thought I'd do people a favour by giving them a custom-made supercar." 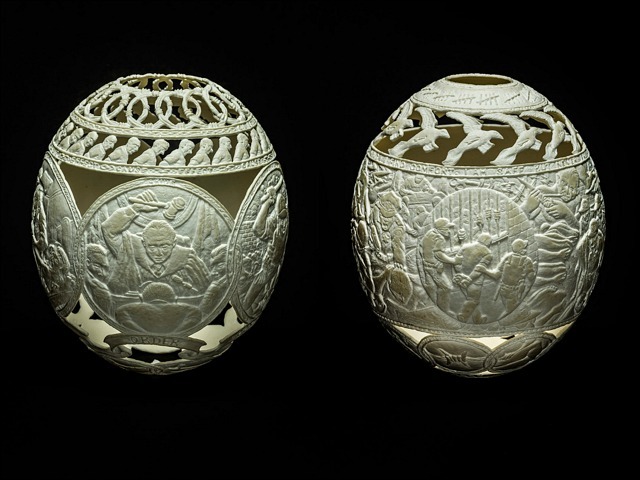 For the second year, the Art Fund has asked people to create edible copies of masterpieces as part of a fundraising initiative for British museums and galleries. 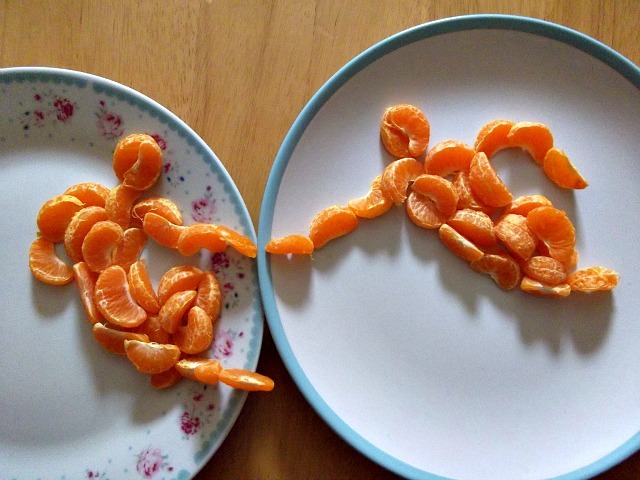 The competition challenged the public to create edible versions of their favourite works of art. First place went to a satsuma recreation of Michelangelo's Sistine Chapel fresco painting, submitted by Priley Riley, 21, who is in the final year of her Fine Art degree at Loughborough University. 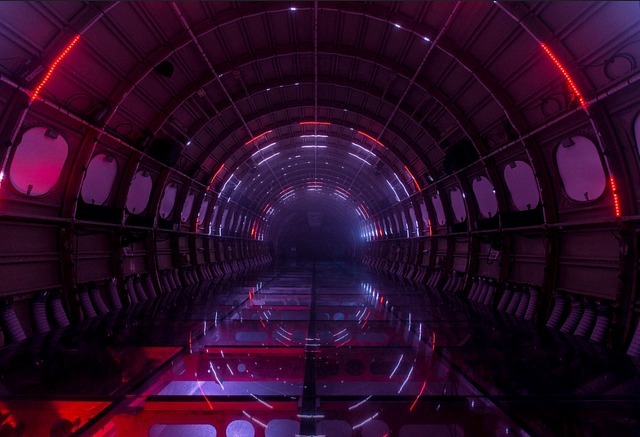 The judges praised the winning masterpiece's inspiring use of ingredients saying, "What distinguished this entry was imagination – it stood out straight away".